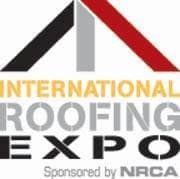 The 2016 International Roofing Expo will be held February 17-19 at the Orange County Convention Center in Orlando, Florida. The International Roofing Expo is a must-attend event for anyone in the roofing industry. The expo aims to provide roofing professionals with the information and education needed in order to stay abreast of the latest market trends and technology. FiberTite is pleased to announce that we will again be showing at IRE this year! Come visit us at Booth #1191 to learn about our time tested technology. FiberTite is the only KEE membrane in the industry with a track record to prove its performance - more than 35 years with the same formulation. These sessions will be hosted by industry leaders and are geared toward key decision makers, as well as individuals who have decision making influence, across every segment of the roofing industry, including construction and maintenance. There will also be a number of organizations presenting on the show floor this year. Manufacturers, distributors, and representatives who specialize in roofing materials and the related products will be showing a wide-range of products, services, technologies, and innovations. Click here to learn more about the International Roofing Expo and register today! Do you have any topics you’d like us to address in a future blog post? Tell us about it in the comments.